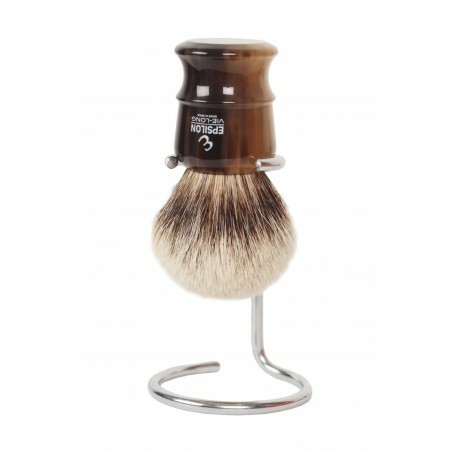 Epsilon Shaving Brush Chrome Holder. Modern and simple shaving brush stand. 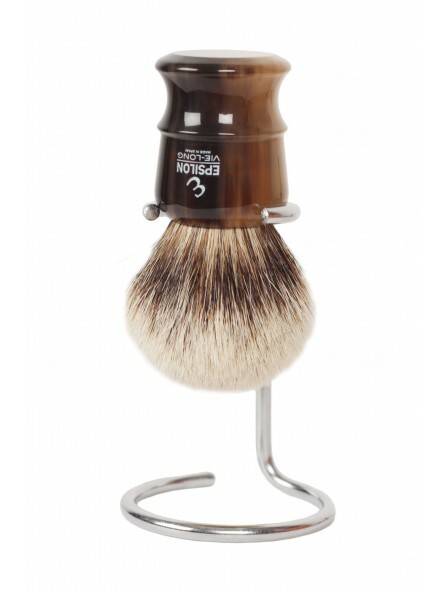 It holds shaving brushes with a knot of between 24mm and 26mm. The photos show an Epsilon 26mm shaving brush and a 24mm horse hair shaving brush. This product does not include the shaving brushes shown in the pictures.